Grade 12 plus 3 year Bachelor’s Degree or National Diploma major in Accounting, Economics, Finance, Risk Management and Financial Information Systems. Good communication, interpersonal and report -Writing skills. Valid Driver’s license will be an added advantage. Applicants must be between the ages of 21 and 35. Implementing General Accepted municipal practices and budget reforms. Capturing financial data and compiling statistical information and any other functions that may be assigned by the superior. N.B Preference will be given to successful applicants who reside within the Amathole Region. The Municipality subscribes to the principles of employment equity. People with disabilities are encouraged to apply. Interested Suitably qualified Candidates are to submit an application Letter, complete Curriculum Vitae, and certified copies of certificates of qualifications, SA ID copy and Driver’s Licence. Applicants not contacted within 30 days of the closing date must consider their applications as unsuccessful. 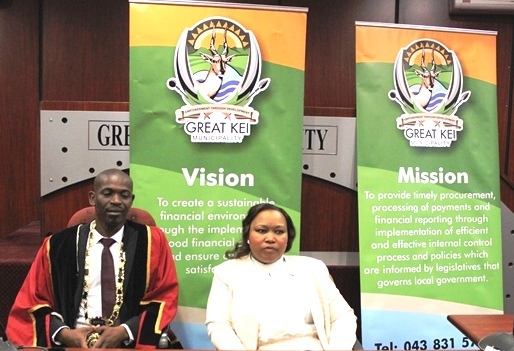 The Great Kei Municipality reserves the right not to make an appointment. The Director: Corporate Services: Attention Mr. J. A. GOMOMO Great Kei Municipality, Private Bag X 2, KOMGA, 4950 OR 17 Main Road. KOMGA, 4950. E- Mailed or Faxed applications will not be considered.